New York-based world’s largest fund operator BlackRock Inc. has invested additionally in Samsung Electronics Co. to raise its ownership to more than 5.0 percent after similar increase in another Korean chipmaker SK Hynix last year, a move that may lift the chip stocks against fears of bust cycle. 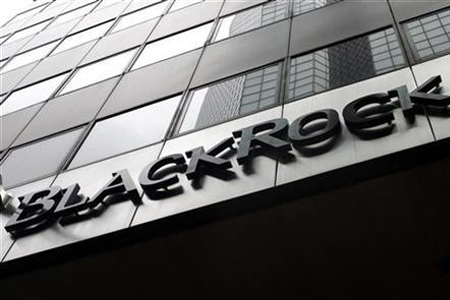 The global asset management company disclosed Thursday that BlackRock Fund Advisors and its affiliates purchased an additional a 0.04 percent stake, or 2,108,161 shares, in the Korean tech behemoth on Jan. 28 to raise combined ownership from 4.99 percent to 5.03 percent. Any purchase of 5 percent or more in a listed company in Korea is subject to disclosure under the Korean law, including the purpose of the acquisition and contract terms, within five days after the acquisition. The name now commands the third largest holding after Korea’s state-run National Pension Service with 9.25 percent and Samsung Life Insurance with 8.24 percent. On Friday, Samsung Electronics shares finished 3.03 percent lower at 44,800 won ($39.83). Based on Thursday’s closing price of 46,200 won apiece, BlackRock’s total holding in Samsung Electronics would be worth 13.9 trillion won ($12.3 billion). Foreign net buying in Samsung Electronics shares reached 2.33 trillion won last month, including an estimated 94.3 billion won investment by BlackRock. As of Feb. 7, foreigners owned 56.7 percent Samsung Electronics. BlackRock also holds 5.08 percent, the fourth largest, in SK Hynix since it upped its stake in the world’s second biggest chipmaker in May last year. BlackRock, which usually goes long in investments, is believed to have been attracted by the price levels of the blue-chip stock. Considering the earnings outlook for this year, Samsung Electronics’ price to earnings ratio (PER), which measures the stock price against a company’s earnings per share, is estimated at 10.11 times, hovering below the average 10.53 times PER of Kospi-listed companies. SK Hynix’s PER is even lower at 6.87 times.